Who says your daily driver and your weekend warrior can't be the same vehicle? 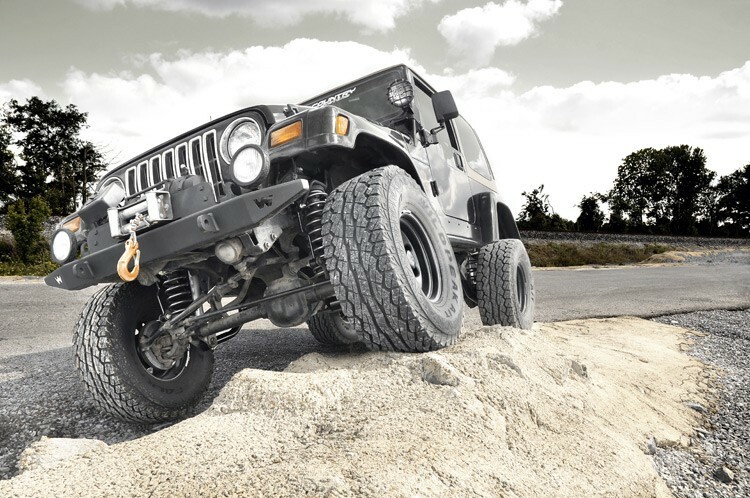 The 4-inch N3-Series Kit for Jeep TJ was engineered by Rough Country's Research and Development Team to give the perfect blend of off-road performance and smooth highway ride. 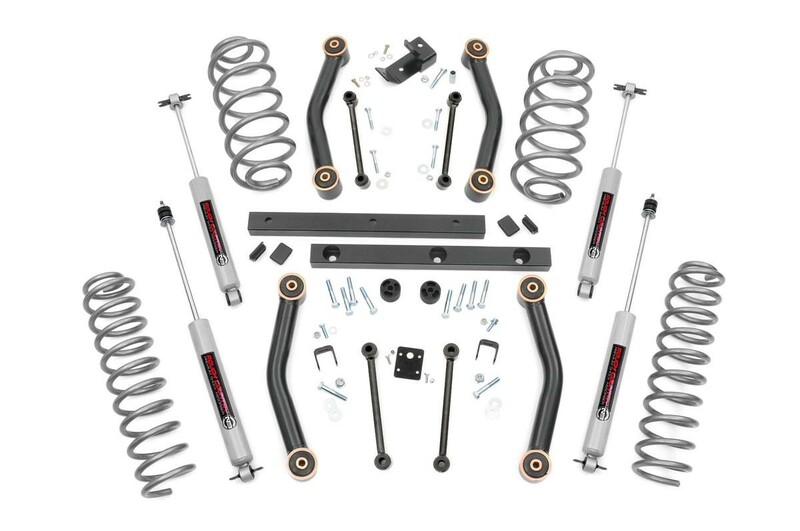 A set of application tuned, lifted coil springs are included in this kit along with a set of tubular lower control arms outfitted with rubber Clevite bushings for the best in vibration dampening. The 4-inch N3-Series kit also includes a tubular transfer case drop kit, track bar bracket; and a full set of extended sway bar links. Coil springs are based on OEM spring rates for a stock ride quality. Solid tubular transfer case drop maintains proper driveshaft angles to avoid vibrations. Automatic transmission models may require a SYE & CV Drive Shaft to fix driveline vibrations – adjustable lower control arms [# 1190] may also be required in conjunction with the SYE and CV Drive Shaft.